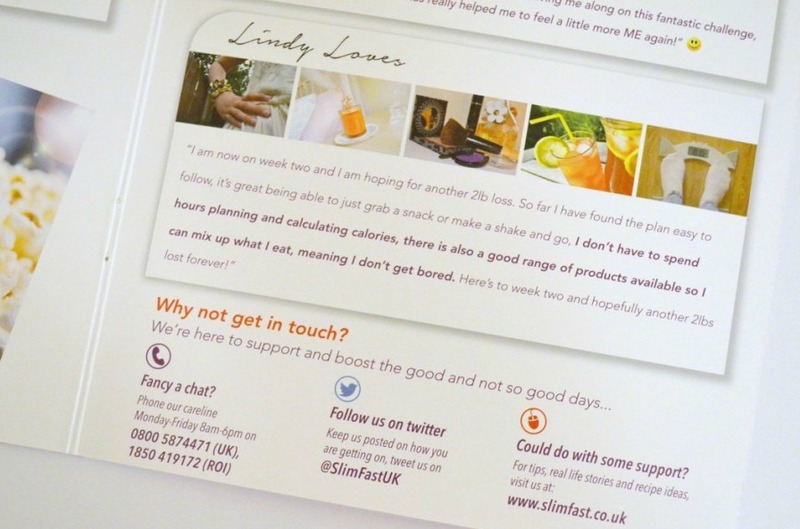 I was recently sent some products from Vileda to review. I was really looking forward to trying the 1, 2 Spray Mini. The 1, 2 Spray Mini is a smaller version of the best-selling Vileda mop 1, 2 spray. It efficiently removes finger prints, grease and smears from a huge range of surfaces such as windows, mirrors, doors, tables, car interiors and much more. The Mini’s handle fills with water or cleaning solution, you then use the button at the top of the handle to spray the liquid onto the surface. I was a bit concerned that I would have to keep filling up the bottle/handle as it is quite small however I managed to do the back 3 windows inside and out without needing to refill it, I found this more than acceptable. The button is easy to press and you get a good coverage with each spray. The Spray Mini is great for getting into the corners and with a flick of the wrist you can change the angle of the head. The special microfibre chenille pad gives 5x better cleaning when compared with ordinary cloths. This is thanks to it’s fluffy, soft, cleaning nodules. The pad is simple to remove yet stays put when cleaning surfaces and does not move about at all. When the pad needs cleaned they can be put in the washing machine. 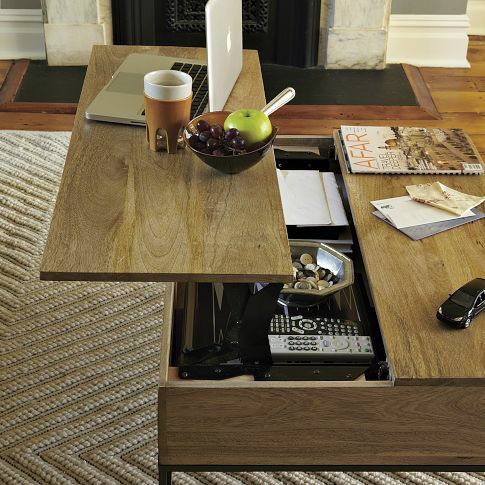 It is such a simple yet ingenious product. Although I still hate cleaning the windows (who doesn’t) the Spray Mini has made it easier. Our windows cleaned really well using the Spray Mini and didn’t leave smears either, so it gets a huge thumbs up. The 1, 2 Spray Mini is available in leading supermarkets with a RRP of £6.99, the refill pads have a RRP of £2.99. The Vileda Style range is set to add some colour and style to kitchens with their range of Cloths. The Vileda Dish Cloth is great for cleaning up spills, cleaning the dishes and cleaning kitchen surfaces. The cloth is extra durable so it can cope with the tough tasks that are required in the kitchen. The bright yellow Sunsplash All Purpose Cloth is great around the house and can be used for a multitude of cleaning tasks. 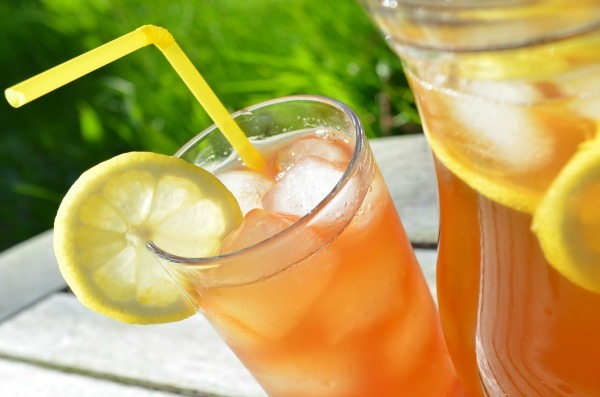 The cloth is thick and does a good job of cleaning up spills and cleaning off marks from all different surfaces. The cloths can be washed in the washing machine time and time again. The cloths are available in most supermarkets with a RRP of £0.99 for a packet of 2. The cloths are a fantastic quality so this is a bargain in my opinion. 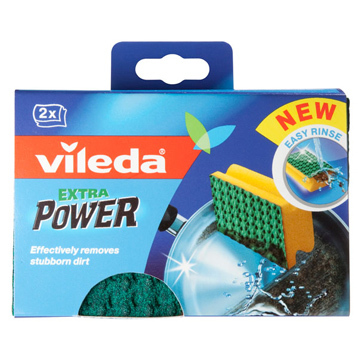 I don’t normally get excited about cleaning products but I have to sing the praises of the Vileda Scourer range. 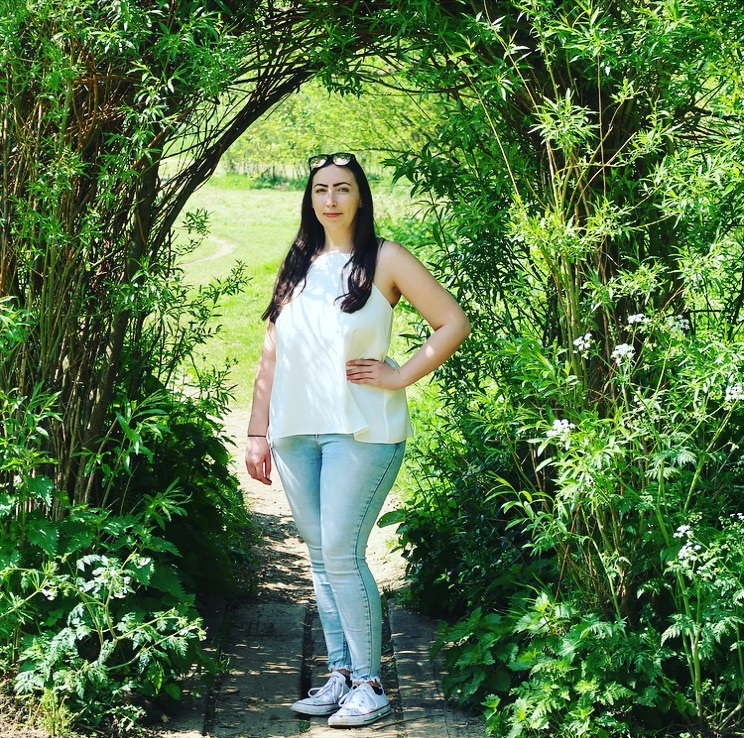 The first product from the scourer range I tried was the Washing Up Sponge Scourer which is designed to remove tough stains with minimal pressure. It does exactly that and is a great product to have to hand for though stains. The other scourer from the range I tried was the Non Scratch Power Scourer. This is designed to be used on surfaces which can easily become scratched such as glass and ceramic. I used the scourer to clean some plates and glasses and it cleaned them really well and I didn’t notice any scratches on the glass afterwards. We usually use sponge scourers to clean pots and plates but after a while I find the scourer becomes worn and the scouring pad comes away from the sponge so we tend to go through a lot. 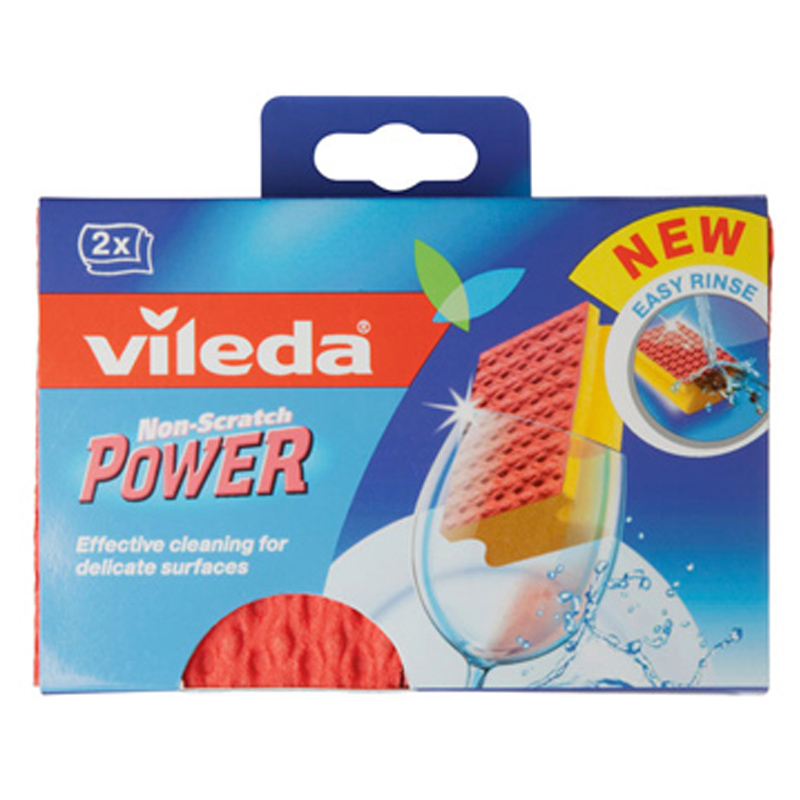 Since we received the new Vileda Power Scourers we haven’t needed to replace them and I have found them to clean pots and plates with ease and without damaging them in any way. The 3D structure of the scourer features scrubbing nodules which provide a better all-over cleaning performance. The smart abrasive sealed surface prevents dirt from getting trapped, allowing you to rinse the surface with ease. The Scourers have a RRP of £1.19 for a pack of 2. Overall I am very impressed with the quality of the Vileda products and also the pricing, the products are great value for money. I would highly recommend Vileda cleaning products to everyone. *We were sent the products mentioned above for the purpose of this review. I always give an honest review. All thoughts and opinions are my own. The sponges look really effective. Must look out of them.